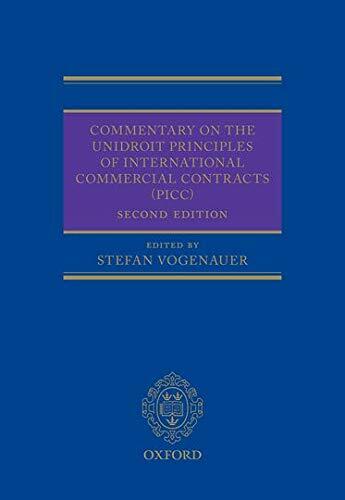 This new edition of the leading commentary on the Principles of International Commercial Contracts (PICC) has been updated to include the 26 additional provisions brought in by the PICC 2010. The text on the older provisions has been updated in order to draw together and comment on recent case-law and legal writing. This book provides commentary on the substantive rules on contracts with a comprehensive analysis of each provision, and relevant case law, and compares national provisions with the PICC. The topics of conditions, illegality and plurality of obligors and obligees are covered for the first time in this new edition. This book is an essential reference source for lawyers wishing to understand the rules governing international contracts and how to apply the principles in practice. It is an indispensable tool for all lawyers and scholars working with international commercial contracts.